SCCANGO » What is SCCANGO? The SC CAN GO is an integrated marketing and advertising campaign to promote a college-going culture in South Carolina and raise needed college access awareness throughout the state. The primary goal of this campaign is to encourage South Carolina students and families to take an active role in pursuing higher education. 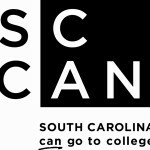 The campaign is meant to show South Carolina students and their families how to overcome perceived barriers and assist school counselors and education professionals and provide them with the resources in order to create college going cultures for all students in South Carolina. All over the country, community-based, non-profit college access networks of local and national reach are helping students and their families achieve the goal of postsecondary education. To learn more about the National College Access Network (NCAN), which includes over 200 organizations, visit collegeaccess.org and find the college access programs operating in your area.